Pay just £25 deposit today! 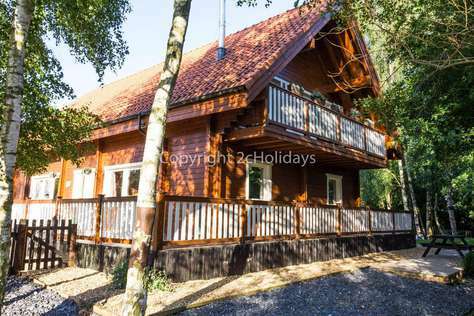 Stunning 4 bed holiday cabin with lake view at Pentney Lakes, near Kings Lynn in Norfolk. Superbly situated in a beautiful wooded park. Highly recommended. Platinum Deluxe rating. Surrounded by trees and woodland, entry to this impressive 2-storey wooden cabin is made via a veranda which encircles the property. Entering the main entrance leads you to an impressive hallway with stairs leading to the living area of the property. To the ground floor, there are four large bedrooms, all with en suite bathrooms; a separate toilet with wash basin; and utility room with washing machine and sink. Bedroom 1 - King size bed, wardrobe and chest of drawers, en suite bathroom with full size bath, shower cubicle, toilet and wash basin. Access to the veranda. Bedroom 2 - Double bed, wardrobe and chest of drawers, en suite bathroom with full size bath, shower cubicle, toilet and wash basin. Access to the veranda. Bedroom 3 - Double bed, wardrobe and chest of drawers, en suite bathroom with full size bath, shower cubicle, toilet and wash basin. Wooden cot for babies and small children. Access to the veranda. Bedroom 4 - Twin beds, which can be converted to a bunk bed, wardrobe and chest of drawers, en suite bathroom with full size bath, shower cubicle, toilet and wash basin. Access to the veranda. Stairs leading to large open plan living area, with three large sofas, wood burner, Freeview TV with DVD player, and pool table. French doors leading to balcony to the front of the cabin, with seating. Large kitchen area, with dishwasher, electric oven and hob, two under counter fridges, with freezer compartment. French doors leading to balcony with seating and full lake view. Dining table with seating for 10 people. Outside, there is a large sandy play area, and parking for several cars. The veranda has outdoor tables and chairs, and there is a patio area ideal for barbecues. One small, well behaved dog welcome. Please note, there is currently no Wifi at this property. Pentney Lakes is well known for it's water sports. These can be arranged and booked through the main reception on arrival. 99004 The Maltings, charming 3 bed holiday cottage in popular Burnham Market. Platinum Deluxe rated. Charming 3 bedroom brick and flint cottage with open plan living area and exposed beams. The cottage is part of the Old Maltings conversion and boasts comfortable living, with underfloor heating downstairs and Free WiFi. The cottage is positioned in a quiet, private lane, close to the centre of the popular village of Burnham Market, and has two off-road parking spaces. The open plan living area is spacious with two large leather sofa's, TV with integrated DVD player, Freeview and an electric wood burner. The dining area has a large table with seating for six people, and the kitchen is well equipped, with breakfast bar, full size cooker, microwave, fridge/freezer, slimline dishwasher and washer/drier. The ground floor also has a bathroom comprising bath with shower over, toilet and sink. The back door leads to a small, walled space to the rear of the cottage. Stairs lead to a small landing, with three bedrooms. The master bedroom is spacious with a double bed, dressing table and chest of drawers. Windows to the front of the cottage overlook the grassy communal area at the front of the cottage. The en-suite has a shower, toilet and double wash basin. The second bedroom has a double bed and the cot. (The mattress for the cot is provided, but you will need to bring your own bedding) There is a dressing table/desk along with built in wardrobes for clothes storage. The third bedroom has two 2'6" single beds, with a chest of drawers for storage. 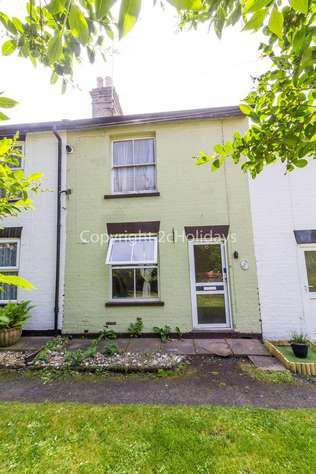 Outside, to the front of the cottage, there is an enclosed garden with seating and BBQ area. Opposite the cottage is a large grassed communal area with trees. One well behaved dog is welcome, but we ask that it is kept downstairs. The pretty village of Burnham Market is a popular choice for those seeking a quiet getaway on the North Norfolk coast. There are a variety of independent shops and the village boasts the acclaimed "Hoste Arms" public house and restaurant, and the brand new No.29 bar and restaurant, along with tea rooms. The beaches of Holkham, Wells and Brancaster show off the beauty of the Norfolk skyline and are only a short drive away. The CoastHopper bus stop is a very short walk away. The cottage is also located a short walk from the newly refurbished play park, with a great choice of play adventures for children to enjoy. 99004 Union, 4 Berth holiday cottage in Lowestoft. D/G C/H. Diamond rated. 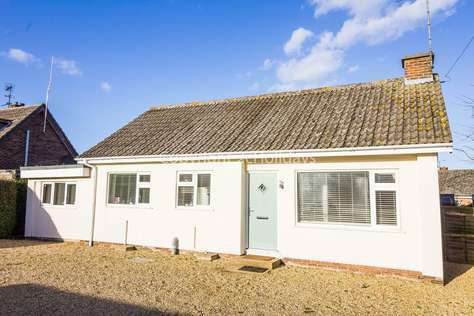 2 bedroom holiday cottage in Lowestoft, with central heating and double glazing. 4 berth, 1760's Georgian terrace house. Diamond rated. This sweet terraced house is located just a few minutes from the beach in the upcoming area of Kirkley. With shops, restaurants and bars all within close walking distance, the cottage is tucked away and peaceful. Stairs leading to landing with two bedrooms and bathroom. Step down from landing to large bathroom, with full size bath with shower over, sink and toilet. Outside, to the rear, there is a small garden, laid to patio, with garden furniture and barbecue. Gas central heating controlled by Smart Meter. Street parking is available near by. 99015 Lamsey, 4 Berth holiday cottage in Heacham. D/G C/H. Platinum deluxe rated. 2 bedroom holiday cottage in Heacham, North Norfolk. 4 berth, renovated to a high standard. Comes highly recommended. Platinum deluxe rated. Entry into hallway leading to beautiful hand built kitchen with granite flooring, built in oven/hob and extractor over, built in dishwasher, open plan utility with fridge/freezer, washing machine and tumble dryer. Open plan lounge and diner with TV/DVD and Freeview, dining area and french doors going out to garden area. Family shower room with toilet and vanity wash basin. Bedroom 1 - Twin with bunk beds. Bedroom 2 - Master with king size bed and en-suite bathroom with bath, toilet and vanity wash basin. Enclosed back garden with patio area with outdoor furniture. Shingled driveway with ample parking.